Autumn in Maine is a glorious time of year. The foliage puts on a spectacular show of colors. 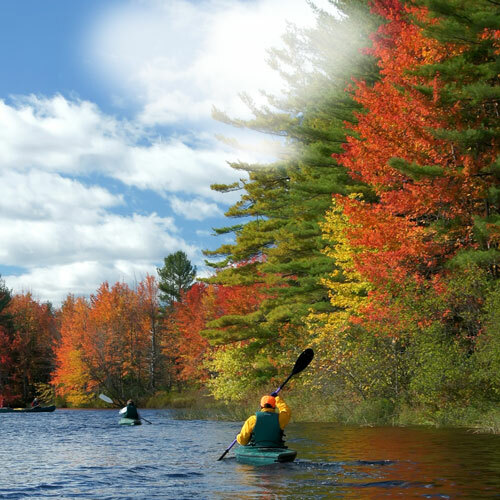 Below are resources to help plan your fall foliage hike, ride or paddle. View programs on the searchable event calendar. Bigelow Preserve and Flagstaff Lake Public Lands (PDF 2MB) (Foliage Zone 5*) - Take in the foliage on the flanks of Bigelow Mountain by paddling on Flagstaff Lake at one of several access points in the Bigelow Preserve. Camden Hills State Park (Foliage Zone 1*) - Hike or drive to the top of Mt. Battie for fall colors and ocean view. 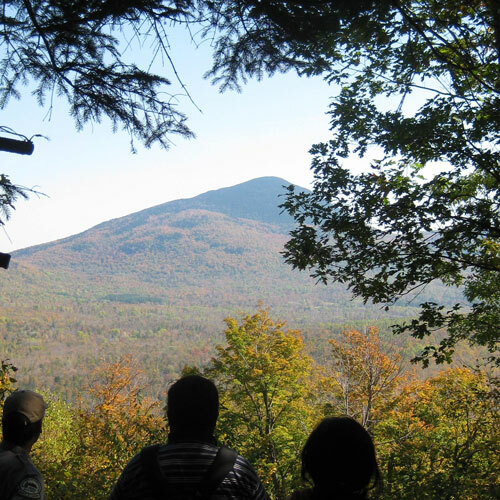 Down East Sunrise Trail (Foliage Zone 2*) - Enjoy the DEST by bike, foot, horseback, or ATV. Grafton State Park & Mahoosuc Public Lands (PDF 1.5MB) (Foliage Zone 5*) - Route 26 is a scenic drive and the waterfalls at the park pullouts are great picnic spots. The Old Speck Trail provides a challenging but rewarding hike with great views 3.5 miles from the trailhead at the tower. Lily Bay State Park (PDF 846KB) (Foliage Zone 6*) - Hike along the shoreline trail or paddle along the shore of iconic Moosehead Lake. Seboeis Public Lands (PDF 1.5MB) (Foliage Zone 4*) - Take in autumn's glory from Seboeis Lake. Waterside campsites; one trailerable and one hand-carry boat launch available for boaters and paddlers. *Foliage Zones correspond to the Maine Foliage Conditions map. 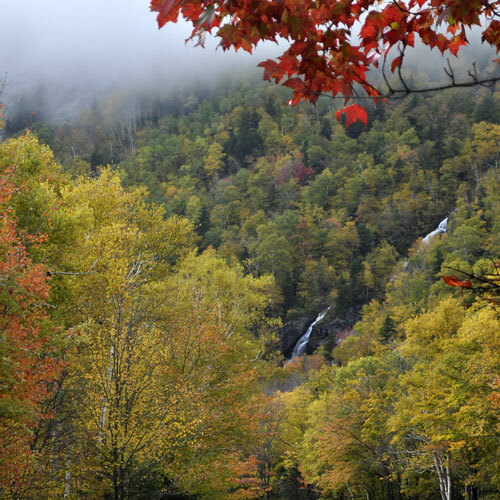 Peak foliage listings by region visit the Maine Foliage Reports provided by the Maine Forest Service. Forest Trees of Maine is the guide to Maine's Trees. Order or download it from the Maine Forest Service. For tourism information visit the Maine Office of Tourism website. Find more Parks and Public Lands with our Search Feature. Find all Bureau events & programs on our Searchable Program Calendar. The Foliage Zones listed below correspond to the Maine Foliage Conditions map.